The Content on US-Coin-Values-Advisor.com is Protected by Copyright Laws. The content of this site is the property of US Coin Values Advisor. Content includes, but is not limited to, text, graphics, and computer code, and is protected by international copyright law. No one may download, copy, modify, reproduce, distribute, or republish content from this site without the written permission of US Coin Values Advisor. Securing content for personal, non-commercial intent is permitted. Content utilized strictly for educational endeavors is welcomed. The Fair Use provision of the copyright law allows limited site content to appear in news publications or editorial reviews, without seeking written permission. The trademarks, service marks, and trade names appearing in this site are the property of their respective owners and are protected in the United States and internationally. The content on this site has been researched by US Coin Values Advisor from a variety of sources and is believed to be accurate, and is provided "AS IS", without warranty of any sort, either express or implied. No representation or warranty is given regarding the fullness or correctness of the content. Thus, readers should be cognizant of the possibility that content is less than complete or contains errors. If incorrect content is found, the sole responsibility of US Coin Values Advisor is to remedy the inaccuracy, and will not be subject to additional liability or responsibility. We at US Coin Values Advisor strive to link only to reputable sites, but we cannot assume responsibility for the content found on these linked to sites, and we shall not be liable for any damages or injuries resulting from the content of linked sites. The appearance on this website by third parties offering products or services does not automatically indicate said offerings are approved by US Coin Values Advisor. All statements by any third party appearing on this site are the sole responsibility of the third party. We are absolved of any responsibility for the validity of any of their declarations. 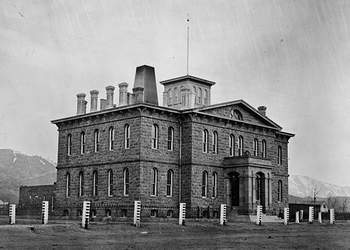 The photo above is of the Carson City Mint building as it appeared in 1879. This usage is typical of many images seen throughout this website. Image courtesy of Library of Congress. The images used on the site are classified as one of the following: A) work strongly believed to be in the public domain, as specified by current copyright law, B) copyrighted material reproduced with permission, or C) work we believe qualifies under the Fair Use provision of the copyright law. Wherever practical, credit for images used, even those in the public domain, is given. Many public domain images on this site were found through the Library of Congress and the National Archives. Occasionally, a public domain image appearing on this site was scanned from an out of print history book, where accreditation was virtually meaningless. Under these circumstances, the phrase "Public domain image" was invoked in the caption. These images thusly captioned were all originally published prior to 1923, and almost certainly belong to the public domain, as specified by current copyright law. It is not our intention here at US Coin Values Advisor to infringe upon anyone's copyright. All efforts have been made to use images on this site properly and responsibly. If any copyright owner objects to the use of any image appearing on these web pages, please contact us.